On the same weekend that Ryan Coogler and Ava DuVernay snagged the Nos. 1 and 2 box-office slots with their megabudget films Black Panther and A Wrinkle in Time, respectively, a smaller, more intimate but nonetheless groundbreaking film debuted at the SXSW Film Festival on Sunday. Jinn is a compelling and nuanced story about Summer, a teenage girl with dreams of becoming a dancer (played by The Quad’s Zoe Renee) who questions everything about her life when her meteorologist mother, Jade (played by Luke Cage’s Simone Missick), suddenly converts to Islam. Writer and director Nijla Mu’min, who trained in both Howard University’s famed MFA film program and CalArts’ MFA program, has been on the festival circuit since 2011. 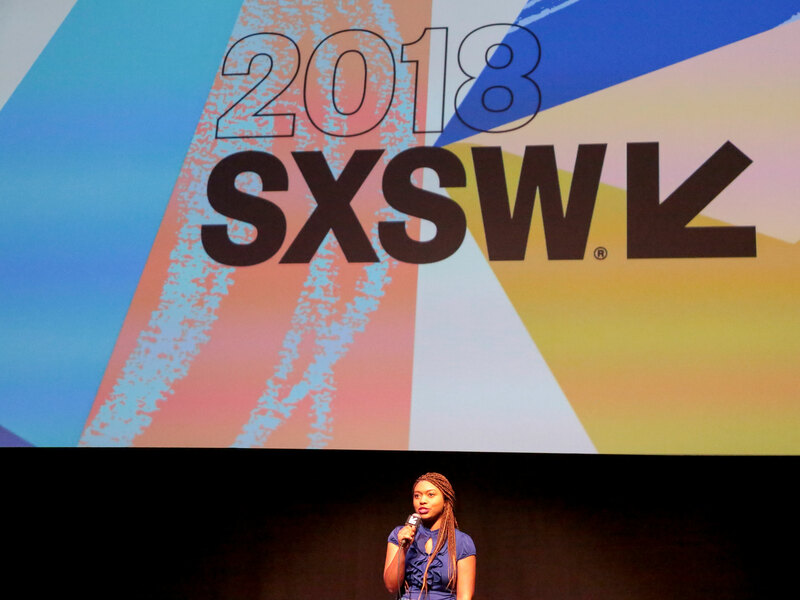 This year is her first time attending SXSW, the 10-day annual conference in the wonderfully weird city of Austin, Texas, where tech, music, art and film converge in a series of workshops, panels, screenings, pop-up concerts and parties. Her debut is meaningful for several reasons: She is a black female filmmaker working in an industry that often marginalizes black women behind the camera. She is also Muslim, and her film brings forth a nuanced and compelling look at Muslim families and communities at a time when the media often portrays followers of the faith as either one-dimensional villains or doesn’t portray them at all. She is also a filmmaker from Oakland, California, and 2018 has been a banner year for films released by directors from the Bay Area, including Boots Riley’s highly anticipated Sorry to Bother You, Daveed Diggs’ Blindspotting and, of course, Coogler’s Black Panther, which recently crossed the $1 billion box-office mark. 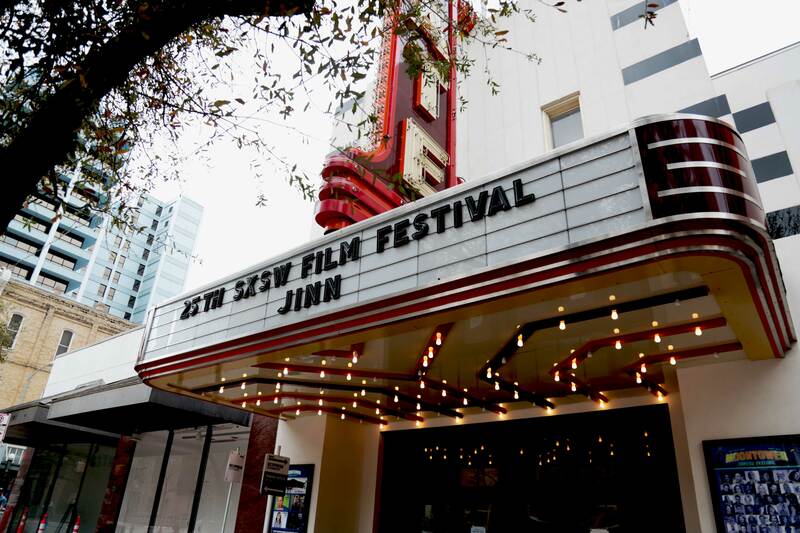 Jinn‘s final screening at the SXSW Film Festival will take place Thursday at the Alamo Drafthouse Cinema — South Lamar in Austin. 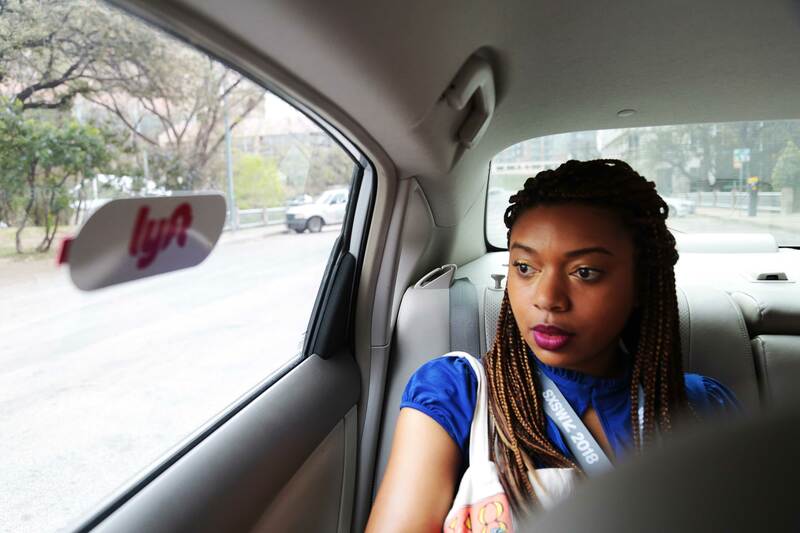 Nijla Mu’min rides from her hotel to the Stateside Theatre in Austin, Texas, for the world premiere of her film Jinn on Sunday. The marquee of the Stateside Theatre in Austin, Texas, on Sunday. 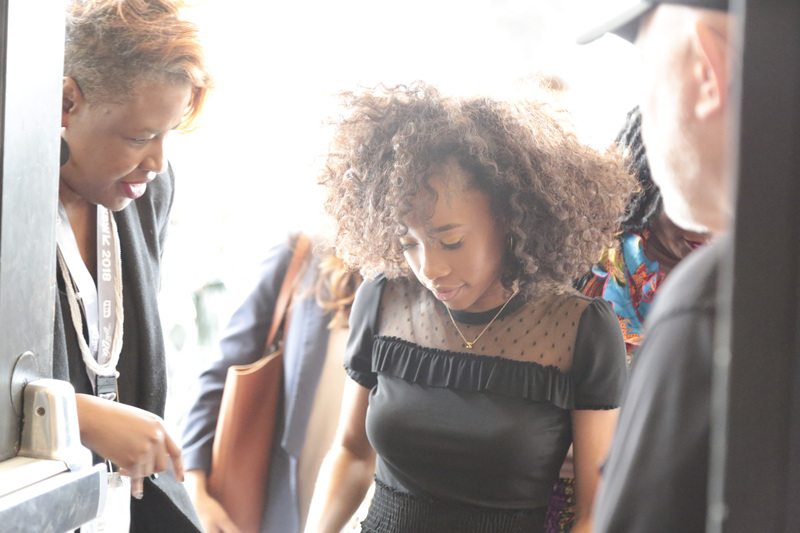 Zoe Renee, star of Jinn, arrives for the SXSW world premiere at the Stateside Theatre on Sunday. 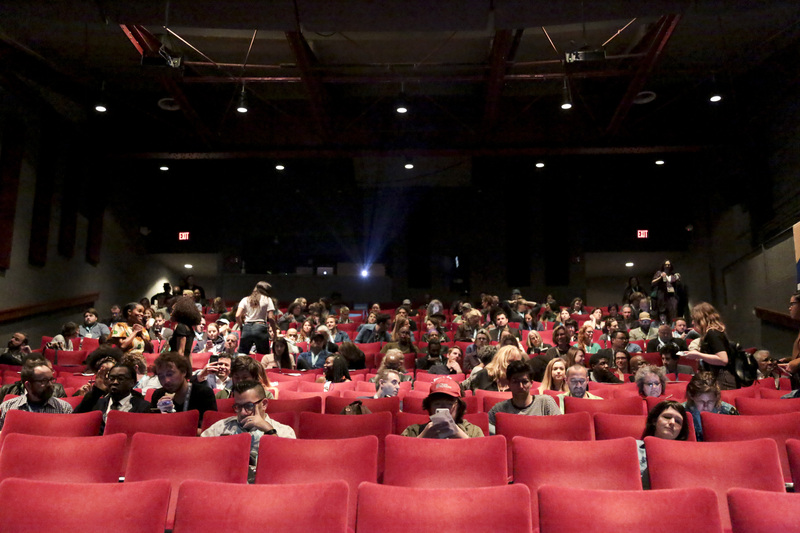 Patrons fill the Stateside Theatre right before the SXSW world premiere of the film Jinn, by Oakland, California, director Nijla Mu’min. Writer-director Nijla Mu’min speaks to the crowd in Austin after the screening of Jinn. She told the audience that she wanted to “give space” to African-American Muslims, who are often not seen in the media. 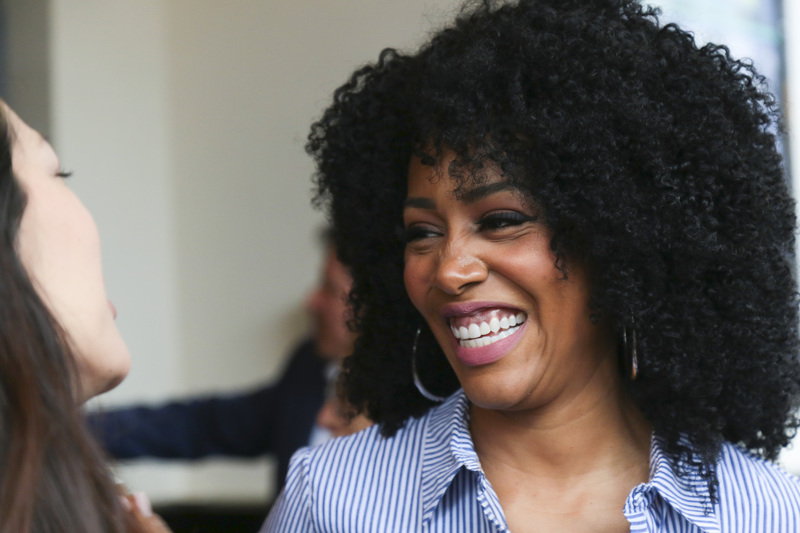 In Jinn, Simone Missick plays Jade, a meteorologist who suddenly converts to Islam. 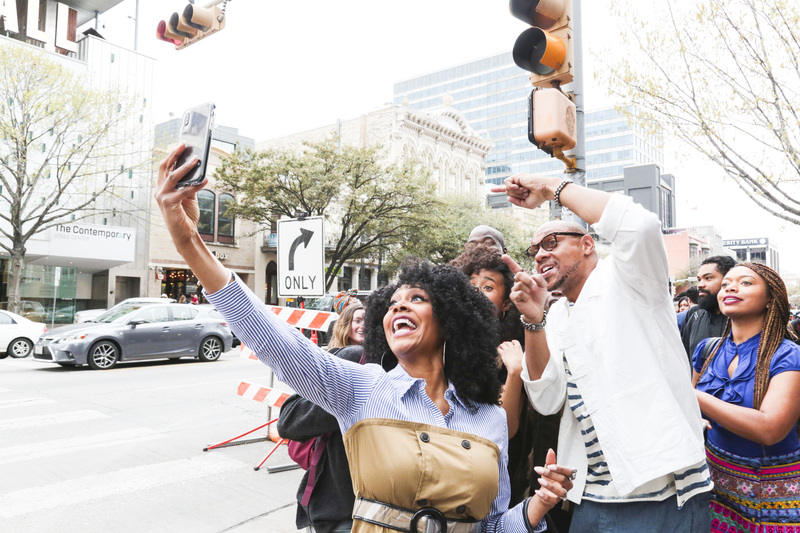 (From left) Simone Missick, Dorian Missick and Nijla Mu’min pose for selfies on Congress Avenue after the SXSW world premiere of Jinn at the Stateside Theatre in Austin, Texas, on Sunday. 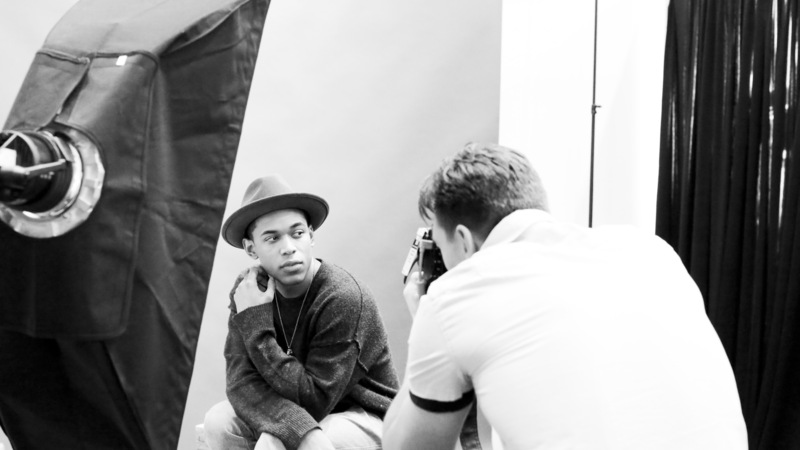 Kelvin Harrison Jr., who stars as Tahir in Jinn, poses during a photo shoot at Deadline’s pop-up studio inside The Contemporary Austin museum on Sunday during SXSW. 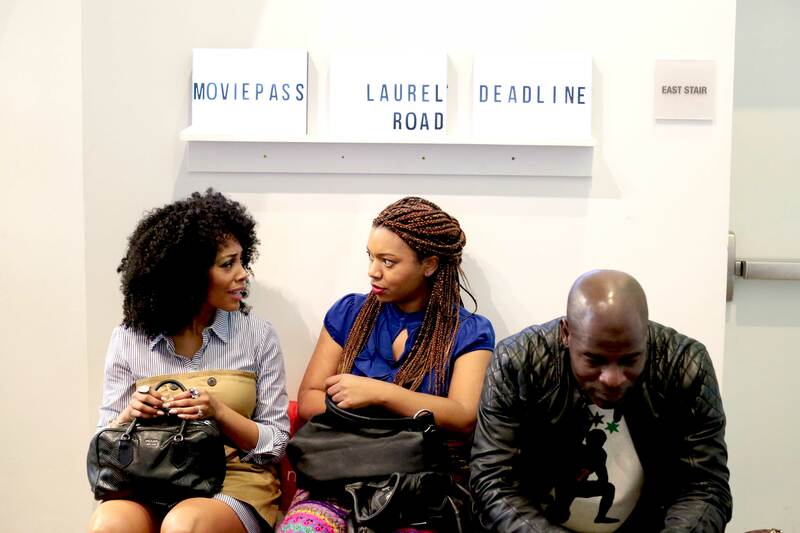 (From left) Actress Simone Missick, writer-director Nijla Mu’min and actor Hisham Tawfiq await a photo shoot at Deadline’s pop-up studio inside The Contemporary Austin on Sunday. 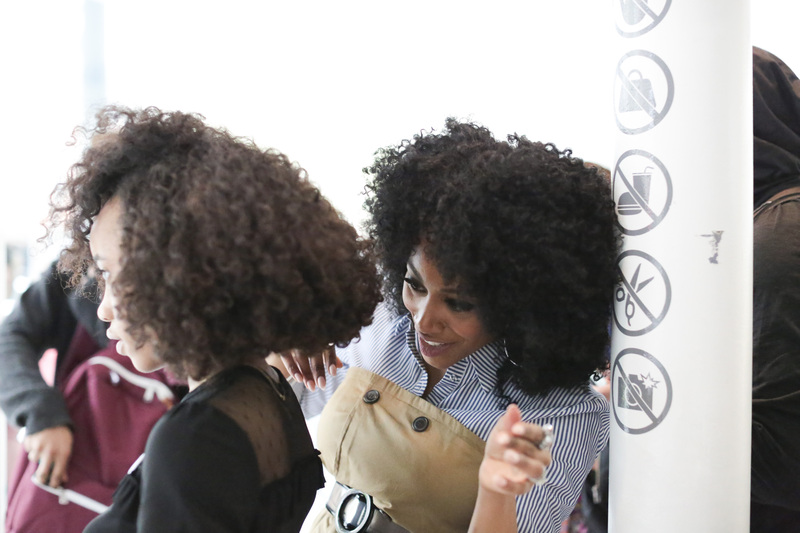 Simone Missick adjusts Zoe Renee’s dress before a photo shoot at The Contemporary Austin-Jones Center on Sunday. The pair play mother and daughter in Nijla Mu’min’s coming-of-age film Jinn. Director Nijla Mu’min (front row, center) and the cast of Jinn pose for photos at the Deadline pop-up studio inside The Contemporary Austin. 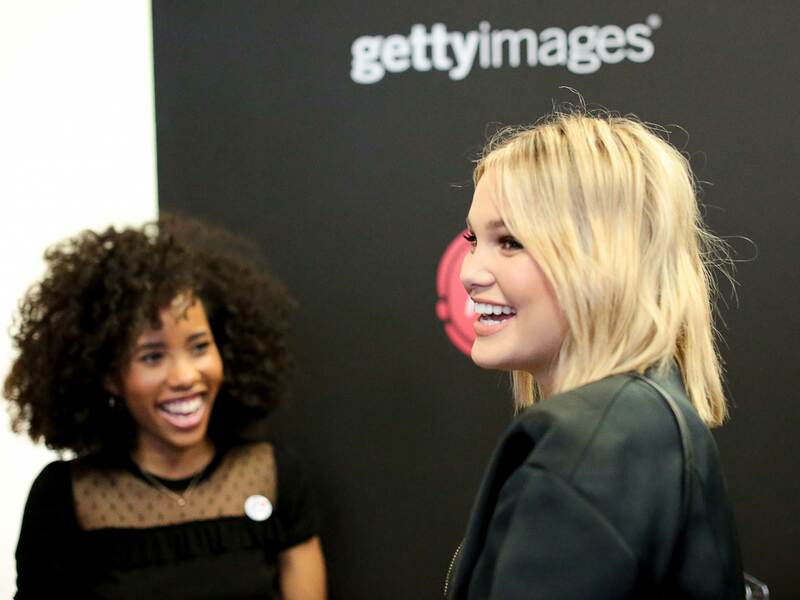 Olivia Holt (right), of the upcoming TV show Marvel’s Cloak and Dagger, chats with Jinn star Zoe Renee at the Getty Images pop-up studio at SXSW on Sunday. (From left) Maya Morales, Nijla Mu’min, Zoe Renee and Kelvin Harrison Jr. of Jinn pose for photos at the Getty Images pop-up studio. The cast and crew of Jinn pose for photos at the Getty Images pop-up studio. 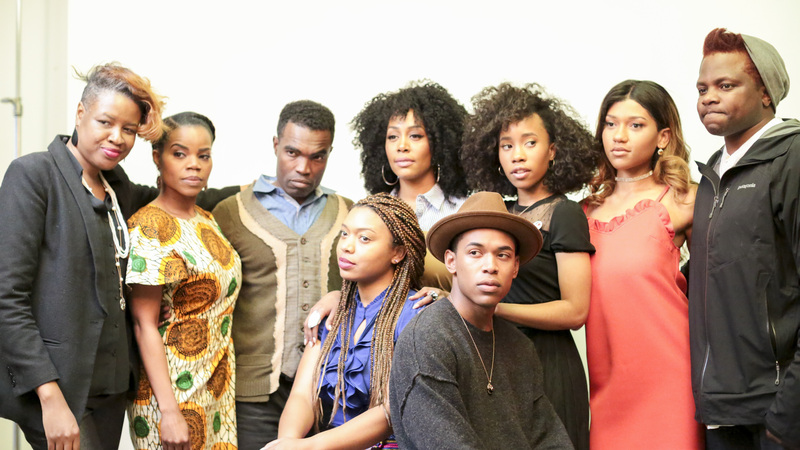 Standing, from left, are producer Avril Speaks, actors Kelly Jenrette, Damien Smith, Simone Missick, Zoe Renee and Ashlei Foushee, and cinematographer Bruce F. Cole. Seated are writer-director Nijla Mu’min and actor Kelvin Harrison Jr.